Blockchain as a regulatory tool – “TRAI-ing” too hard? Home Blockchain Blockchain as a regulatory tool – “TRAI-ing” too hard? On 14th September 2017, TRAI issued a consultation paper on Unsolicited Commercial Communication (“Consultation Paper”), inviting stakeholders to send in their comments and assist the TRAI in improving upon the Telecom Commercial Communication Customer Preference Regulations, 2010 (“2010 Regulations”). Under the 2010 Regulations, TRAI had established a Do Not Disturb (“DND”) registry which allowed subscribers to register themselves to record their preferences in order to block calls and messages from telemarketers. However, this had failed to definitively curb spam because certain telemarketers had started obtaining subscribers’ consent surreptitiously. The present Regulations aim to address this problem by securing information cryptographically and making it available only on a need-to-know basis. In order to understand how Distributed Ledger Technology (“DLT”) will operate as the “RegTech” for these Regulations, it is important to understand how this technology works. This is addressed in the section below. II. What is Distributed Ledger Technology? A distributed ledger is a type of database that is “shared and updated independently by each participant (or node) in a large network.” The distributed ledger records transactions among network participants. Changes to the ledger are made only when network participants agree to do so by consensus, and every record has a timestamp and unique cryptographic signature that enables accurate auditing. Blockchain is essentially a kind of distributed ledger that records transactions in a public or private peer-to-peer network. Information is added onto the ledger in cryptographic hash-link “blocks”, with each new block linked to the previous block in a chain. III. How is TRAI proposing to use DLT? The draft Regulations require access providers to record the consent and preferences of users on a “consent register” and a “preference register” respectively, using DLT. Further, the user is given the option to withdraw consent, if the consent is “abused or is no longer relevant”. The is meant to independently and cryptographically secure the user’s information to enable a consensus based bookkeeping of their consent and preferences. Consensus is key to lowering the risk of fraudulent transactions, because it ensures that all transactions are recorded with every participant’s consent. Thus, for tampering to occur, it must be approved by all the participants in the network at exactly the same time. This is enabled through “consensus algorithms”. IV. What are the advantages and disadvantages of using DLT? 1. Transparency: DLT ensures robustness and transparency of the system since any changes require the consensus of each participant in the network. Each transaction can be viewed, albeit cryptographically by each node, keeping the system open. 2. Fraud prevention: Existence of many distributed nodes may allow for efficiency and also reduce the chances of fraudulent transactions being approved. The transactions are approved by various nodes, and this distributes the workload. Further, blockchains are open source ledgers, and it is easy to detect any fraud thereon. Thus, the various nodes, that approve transactions cryptographically, ensure the integrity of the system. In the case of TRAI’s customer preference registry, this will make hacking and adding fraudulent records of consent and preferences much harder. 3. Decentralisation: This leads to increased trust in the system since no single participant or group of participants controls the entire system. Responsibility is devolved onto each individual participant in the network, meaning that everyone is on an equal footing. 4. Immediacy: Changes made to a ledger are recorded in real time using DLT. In the case of the TRAI’s customer preference registry, this would mean that the preferences and consent of the users may be recorded on the ledger in near real time, making the change effective almost immediately. In the case of the draft Regulations, TRAI has mandated access providers to introduce “private” and “permissioned”  DLT networks. Here, only the entities participating in a particular transaction will have knowledge of and access to the network. Private networks allow the network operator to restrict access and create an environment of known and trusted parties. On private networks, permission levels may also be tiered such that different entities and individuals may have varying levels of authority to transact and view data. 1. Unclear rationale: The fundamental intent behind adopting DLT networks is to keep data cryptographically secure with no centralized point of control. However, in a private DLT network, the central authority (here, the access provider) acts as a gatekeeper to the ledger itself, controlling who goes in and out of the ledger and thus, who mans the ledger nodes. This undermines that very rationale of adopting DLT in the first place. 2. Scope for misuse: In private and permissioned networks, the authority determines who may run the blockchain and who will act as a transaction validator. Since such networks are likely to be composed of a select few users, chosen by the central authority itself, the idea of consensus is significantly eroded. In the case of the Regulations in question, there is no mechanism for choosing the third party service providers. Thus, the authority may plant puppet nodes, that are manned by yes-men, and approving any transaction will merely require their sanction. This creates significant scope for misuse. 3. Lack of reliability: The DLT architecture is new to the telecom sector, and stakeholders are not aware of the technological vulnerabilities that may arise. Even the World Bank has shied away at giving exact recommendations for its use. Thus, the proposed DLT networks are not 100% secure. In the light of this, the proposed sandbox is a good way to test the technology’s scalability and viability. V. How can these Regulations be made better? 1. Ensuring independence of participants in the network: Under the present Regulations, the access providers are responsible for choosing the participating nodes in the network. However, there is no mechanism to ensure that each node behaves independently. This undermines the trust that can be placed in the system since all the nodes can be controlled by an access provider, defeating the rationale behind establishing consensus. It is important to address this issue and ensure that participants can operate independent of the access providers’ influence. 2. Exploring the middle ground between public and private DLTs: Hybrid consortium blockchains are partly private in nature and provide a middle ground between the “low-trust provided by public blockchains and the single highly-trusted entity model of private blockchains”. They function somewhat like a “council of elders; the council members are generally known entities and they can decide who has access to the blockchain ledger.” Hybrid Consortium Blockchain platforms retain most benefits of private blockchains, and yet operate under the aegis of a group instead of one central authority. Thus, while well meaning, DLT in the proposed forms is antithetical to the very idea of decentralisation. In fact, the Regulations seem to be capitalising on the brand value of blockchain, without actually retaining its principle features. These regulations, in conclusion, are an effort at centralised distribution, and not at decentralisation. However, concentration of power can be prevented through institutionalized mechanisms. Access providers can therefore, effectively harness hybrid forms of DLT for curbing unsolicited “spam calls and text messages” by marketers. Paragraph 8, Press Release No. 58/2018, Telecom, Telecom Regulatory Authority of India (29 May 2018), available at http://www.trai.gov.in/sites/default/files/PRNo.5829052018.pdf. Paragraph 3, Press Release No. 58/2018, Telecom, Telecom Regulatory Authority of India (29 May 2018), available at http://www.trai.gov.in/sites/default/files/PRNo.5829052018.pdf. Nolan Bauerle, What is a Distributed Ledger?, CoinDesk, available at https://www.coindesk.com/information/what-is-a-distributed-ledger/. Blockchain & Distributed Ledger Technology (DLT), World Bank Group (12 Apr. 2018), available at http://www.worldbank.org/en/topic/financialsector/brief/blockchain-dlt. Blockchain basics: Introduction to distributed ledgers, IBM Developer Works Tutorials (18 March 2018) , available at https://www.ibm.com/developerworks/cloud/library/cl-blockchain-basics-intro-bluemix-trs/index.html. What Is Blockchain Used For Besides Bitcoin?, Forbes (17 Nov. 2017), available at https://www.forbes.com/sites/quora/2017/11/17/what-is-blockchain-used-for-besides-bitcoin/. Search trend for the term “Blockchain” (worldwide, between Jan 1 2017 & Dec 31 2017), Google Trends, available at https://trends.google.com/trends/. Telecom Commercial Communication Customer Preference Regulation, 2018, Telecom Regulatory Authority of India (29 May. 2018), available at http://www.trai.gov.in/sites/default/files/DraftUCCRegulation29052018.pdf. Para 8, Press Release No. 58/2018), Telecom, Telecom Regulatory Authority of India (29 May. 2018), available at http://www.trai.gov.in/sites/default/files/PRNo.5829052018.pdf. 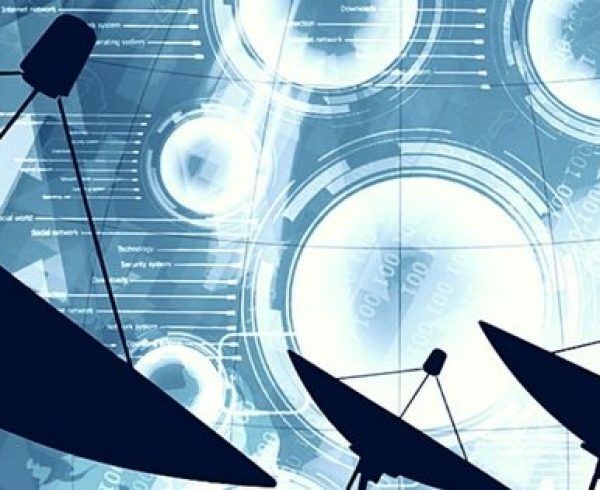 CIS Comments on the Telecom Commercial Communications Customer Preference Regulations, available at https://cis-india.org/internet-governance/blog/comments-on-the-telecom-commercial-communications-customer-preference-regulations. Rodney Peixoto, Blockchain: Public, Consortium and Private models, Contractize (8 Mar. 2018), available at http://contractize.com/blockchain-public-private/. Distributed Ledger Technology: Implications of Blockchain for the Securities Industry, Finra (21 Jan. 2017), available at https://www.finra.org/sites/default/files/FINRA_Blockchain_Report.pdf. Praveen Jayachandran, The difference between public and private blockchain, IBM (31 May. 2017), available at https://www.ibm.com/blogs/blockchain/2017/05/the-difference-between-public-and-private-blockchain/. Private or Public Blockchain – What’s Right For You?, Draglet.com, available at https://www.draglet.com/blockchain-services/private-or-public-blockchain/. Shirsendu “Troy” Karmakar, My response to The Draft Telecom Commercial Communications Customer Preference Regulations , 2018, (9 Jun. 2018), Medium, available at https://medium.com/@troysk/my-response-to-the-draft-telecom-commercial-communications-customer-preference-regulations-2018-4e82da95952a. Is TRAI going “over-the-top” with its attempts to expand its jurisdiction?